Saddle up your store or pantry with these delicious bones. 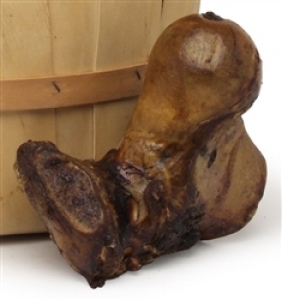 This meaty bone is a hit here in Texas and provides just the right size treat for the medium to large dogs in your life. Our saddle bone comes shrink wrapped and individually labeled with a UPC code which makes for easier processing and display appeal in your store.